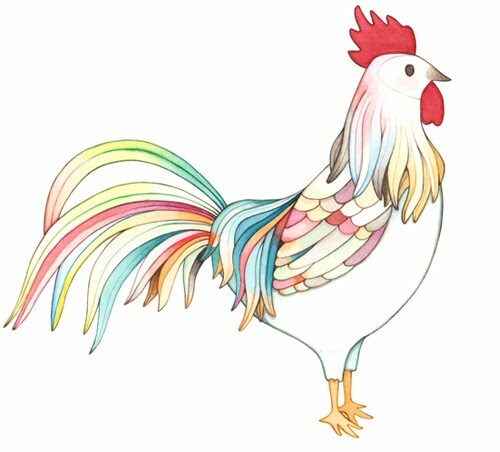 Rooster the early bird wakes up early when everyone else is sleeping. He gets really bored and guess what! ... He wakes everyone up! I did this painting with watercolor and pen on paper. You can find the print of this painting in my shop. Wow! I love all the pretty colours you used! If I ever get my own office I will surely get one of your prints! Do you ever sell originals ? this one does wake up everything! because he is so beautiful! Amazing! Love the colors and great work on the feathers. I love him! He is so beautiful! He seems to be very friendly!! Have a lovely day Dear Afi! Good Luck! Very beautiful JooJoo! Love the colors and the crisp lines! Excellent piece! This is so beautiful! And thank you for mentioning a name of the paper you used, because I have so much trouble with really structured watercolor paper when I try to scan my artwork! So, so beautiful. Your work is such an inspiration to me and it makes me *so* very happy to look at. Everything you do is so beautiful. 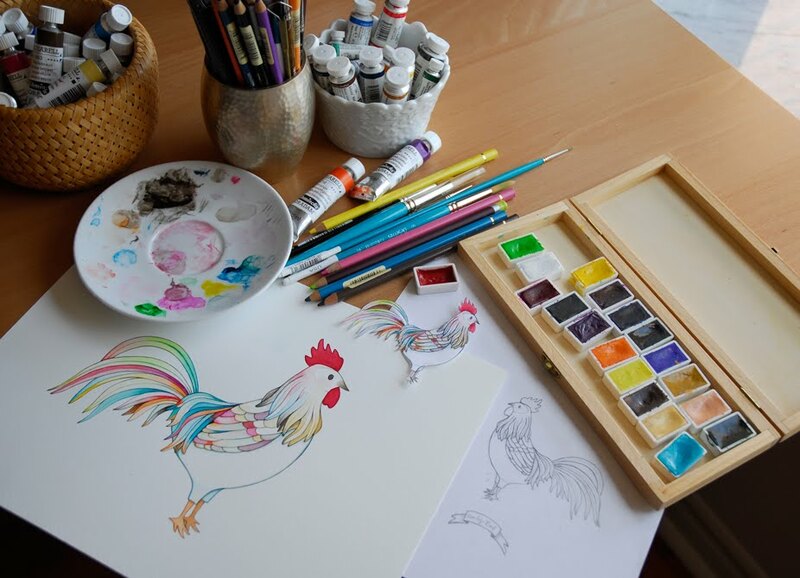 gorgeous rooster design and clean bright colors! Wow! He is handsome and colorful as a rainbow! Hello! I just found your blog - i know this is an old post, but i was wondering... what kind of paint is in the palette in the picture? I am in love with every piece in your etsy shoppe by the way. You have a new fan!